File photo of the art work. 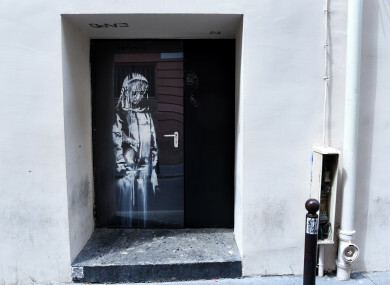 “Banksy’s work, a symbol of recollection and belonging to all: locals, Parisians, citizens of the world has been taken from us,” the establishment said, stressing the staff’s “deep indignation”. Banksy, whose identity is known to only a handful of friends, caused a sensation in October when one of his paintings began shredding itself, just after selling for €1.2 million. Email “Banksy tribute to Paris terror attack victims stolen from Bataclan”. Feedback on “Banksy tribute to Paris terror attack victims stolen from Bataclan”.